Guardian Home Improvements is your licensed contractor for roofing in Pennsylvania, New Jersey, Delaware, Maryland and Virginia and is fully insured with liability and workers compensation. Every aspect of each job is handled in the utmost professional manner so that we can serve our clients as if they are our family. 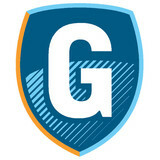 Guardian only uses the best materials and offers the best warranties in the industry. Extra care is taken in the projects of roof replacement and repairs to minimize the risk of interior damage from pop-up rainstorms. Guardian Home Improvements strives to provide exceptional service for your storm damage repairs. Our storm damage expertise, experience working with insurance adjusters, and quality products and workmanship that we provide are highly regarded by our customers. We are a family owned and operated company. We are fully licensed and insured for your protection. We pride ourselves on outstanding customer service and exceptional quality. At JetRoof, we understand the headache of replacing your roof. With over a decade of experience in the industry, we based our business model on solving the concerns we have experienced when working with contractors. When you choose JetRoof to complete your roof replacement you will receive the following (and more! ): 1. Expert, Factory Trained and Certified Craftsmen So many contractors sub out work to any available crew they can find. We put an end to this! Our team of expert, factory trained and certified craftsmen complete every single job from start to finish! 2. Fixed Pricing Model No surprises here! We don't upsell or nickel and dime, everything detailed in your estimate is included for one low fixed price. 3. 24/7 Live Customer Support We hate not being able to reach a real person, which is why we provide industry leading, always accessible, 24/7 live phone support. 4. Cutting Edge Technology Most contractors seem to exist in an era before modern technology - scribbling prices on scraps of paper, using a flashlight and tape measure to assess your roof. At JetRoof things are different, we fully utilize cutting edge technology to make everything from estimation to day to day communication and project management more transparent and efficient. With simple, organized, always there access to our team and all of your important documents, we truly set the industry standard for customer satisfaction. 5. Lifetime Warranty Protection We stand behind all of our quality installations and materials. Working with JetRoof, you receive a lifetime workmanship and materials warranty, backed by our manufacturers. 6. The Extra Mile We go above and beyond the standards of many roofing companies, assisting with interior needs, complimentary gutter cleans, lawn protection and clean up, and post magnetic nail sweeping your yard. Quality One Roofing, Inc is a locally owned and operated business servicing the New Jersey and Pennsylvania area for the past 20 years. Our company has been servicing the needs of contractors, commercial, and residential clients for roofing and siding, trim, gutters, and corresponding repairs. We understand that the key to continuing business with new and existing customers, top-quality workmanship and customer service needs to be at the forefront. Our technicians are certified for all roofing projects on residential homes or large commercial properties. In fact, all of our employees undergo annual trainings and certifications to ensure that we provide our customers the highest level of craftsmanship. We are a certified installer with GAF and CertainTeed as a residential installer. Commercially, we are certified with Versico, GenFlex and GAF (single ply roof systems). Furthermore, we can provide NDL (No Dollar Limit) and manufacturer’s warranties for commercial properties. You can rest assured in partnering with Quality One Roofing. Our stellar reputation as masters of our trade is showcased as many of our jobs come from referrals from contractors, friends, neighbors, and previous customers. Contact Quality One Roofing for a free estimate today! George J. Keller & Sons, LLC is a second generation family-owned home improvement company specializing in Roofing, Siding, Windows and Solar. We started as a “Mom & Pop” roofing company in 1980 working out of our Dad’s house in Flanders, with one truck and one roofing crew. We’re now one of the area’s most well respected small businesses with ten crews being directed out of our facility on Laurel Drive in Flanders. We’ve been here since 2004 and we’re not going anywhere, anytime soon! Brothers Mike and Dan Keller are partners in the business, having taken over from their Dad, George, upon his retirement in 2007. Both feel tied to the company with a huge sense of pride over the work that they do. Both Mike & Dan feel a huge commitment to doing the right thing for their customers, many of whom are repeat purchasers of the company’s services. With their commitment to the company and the Flanders area comes the knowledge that they’re not going anywhere. Their passion and drive to be the Premier Home Improvement Company in Northern NJ is reflected in their work ethic and their willingness to go the extra yard for their clients. Give us a call or message today to learn how we can help with your next project! We provide trusted and affordable remodeling service including roofing, siding, windows, drywall, paint and much more... for residential and commercial properties throughout New Jersey and all surrounding areas. Choosing the right New Jersey home contractor is highly important because you will be living in that particular house for years to come. You should make sure that the company that you trust with your future is competent and experienced in building custom homes. Element Builders is locally owned and operated in New Jersey, so we make sure our local clients are well take care of. Devoted to customer satisfaction, we give you the results you want quickly. The mission of Mast Roofing & Construction, Inc. is to honor God by serving our clients with the utmost integrity, quality, and efficiency. We work as a team of professionals to do the job right the first time, which allows us to confidently stand by our workmanship and maintain our prestigious reputation. This statement speaks to the core of how we operate here at Mast Roofing and Construction, Inc. We believe it is important to have a clear guidepost for our staff to focus on as they serve our customers. It is not our goal to be “just another contractor,” but a standout company in our industry -on the cutting edge of technology and customer service. Your home is your most valuable asset – with Mast Roofing & Construction Inc., you can be confident that from start to finish, your home will be in good hands. Russell Roofing was founded in 1992 by Russell Kaller, who had grown up working in his family’s roofing business. He learned roofing from the ground up, becoming technically proficient and gaining valuable experience working alongside veteran roofers. It’s where he gained an appreciation for craftsmanship and quality work, which has led to a company-wide policy of “no nail guns” being used – every asphalt shingle Russell roof is hand nailed to ensure a better finish. More importantly, Russell Kaller gained insight into treating customers the right way – honestly, openly and with respect. Those are the principles on which Russell Kaller has built Russell Roofing into the most trusted and respected roofing contractors the Philadelphia Area has to offer. And they are the core values which guarantee that the work we do on your Delaware Valley Area roofing system will deliver many years of reliable service and value. Our company slogan, “If It’s Russell, It’s Right, Guaranteed!” is more than just words. It represents the way we do things and the “can do” attitude that is instilled into every member of our roofing team. From your first phone call or e-mail to Russell Roofing you will instantly realize that you have discovered a very different Philadelphia roofing company. We go out of our way to make the entire roofing experience as simple and easy for you as possible. American Roofing and Remodeling Inc.
All County Exteriors is your local home improvement resource for roofing, siding, windows, and a wide range of home improvement solutions. Since 1982 we have been providing Monmouth County and Ocean County NJ residents with everything they need to make their homes more beautiful, comfortable, and affordable. And unlike the bigger, national companies, we are dedicated to providing services that are specific to our area and designed to work for New Jersey homeowners. 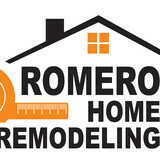 Family owned and operated, we perform all levels of building and remodeling. We offer start-to-finish solutions for every project. We also offer full design services. We specialize in interior or exterior home renovations, including bathroom and kitchen remodeling, home additions, garages, vinyl siding, roofing, windows & doors, gutters & down spouts and more! We guarantee high-quality construction for each and every project. Check out samples of our recent work,and you'll agree that we're the best choice for your home renovation project. Catalfano Brothers specializes in both commercial and Delaware Valley residential roofing, siding, windows, doors and gutters. With over 15 years industry experience, you can rest assured that the job will be done right. Catalfano Brothers is a Certainteed Select ShingleMaster contractor and a 5-star Vinyl Siding and Trim contractor. Being a Certainteed Select Shingle Master Applicator contractor allows us to offer an extende d warranty coverage when an Integrity Roof System is installed on your home. At Catalfano Brothers we are dedicated to ensuring each customer is satisfied with the job we have done. We set high standards for ourselves and use only the highest quality products for your job. We are skilled in installing a variety of roofing systems, including asphalt shingles, cedar shakes, slate, tile, and metal. Roofs and gutters are two home elements that, when they do their job, go unnoticed. But when they malfunction, they make their presence known in a hurry — that’s where knowing a good Doylestown roofer comes in handy. Hire the right roofing company in Doylestown, PA to install, repair and maintain your roof and gutters, and you’ll ensure that these essentials perform at their peak. What do roofing companies in Doylestown, PA do? Your Doylestown, PA roofing contractor can install a new roof or repair an old one, as well as repair and replace gutters. Good roofers in Doylestown, PA should be able to promptly inspect roofs and gutters to assess damage after a natural disaster or other event, and give you an estimate for the necessary roof repair immediately. Some Doylestown roofing companies specialize in specific types of roofs, such as tile or metal, so make sure the one you are interested in works with the materials you have or desire. Find a Doylestown roofer on Houzz. Narrow your search in the Professionals section of the website to roofing companies in Doylestown, PA. If you’re planning a large-scale project, find other professionals on Houzz who can help get the job done. Here are some related professionals and vendors to complement the work of roofing & gutters: General Contractors, Specialty Contractors, Siding & Exteriors, Door Sales & Installation, Garage Door Sales & Installation.